En garde! It’s that time again, when two team members use the same digital stamp set to create two different projects. This month, the team members are me, Chark, and Arlene and the prize for this month’s challenge is April Showers. Arlene has this adorable, perfect-for-spring boot card. She kept the colors all in blues, which totally matches the “miss you” sentiment. A fun but still sincere way to tell someone you wish you could see them. On my card, I’ve used the rainbow image, along with the sun and a sentiment from the set. I wanted to use the rainbow order, so I added some black marker lines to make room for more colors on the stamp, and I think my wonky lines look okay with this whimsical rainbow. I trimmed the sun so it could peek from behind the rainbow and glued on the aptly named Sunshine Ombre Sequins after coloring with yellow-orange Tombow marker. Thanks for stopping by, that’s it for the digital duel for this month…we’ll see you again with two DT members and the digital of the month on May 11th. 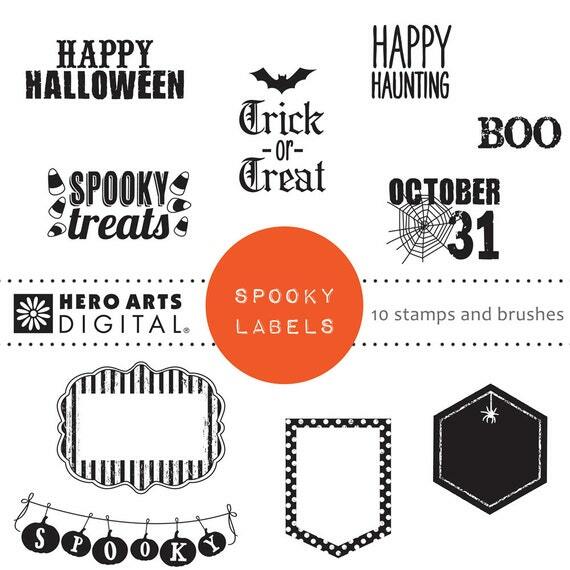 The a2z scrapbooking store carries a wide variety of Hero Arts products! Get discounted new releases, sales, grab bags & more. Proceeds from our store benefit Celiac & Behcets disease foundations. Use my discount code DLT15 to get 15% off your purchase of $25 or more. If you’re looking for a Hero Arts product you don’t see in store, use the Request Custom Order button from within the shop. Categories: Digital, Handmade Cards, Hero Arts | Tags: april showers, Arlene, chark, digi, Digital, digital duel | Permalink.